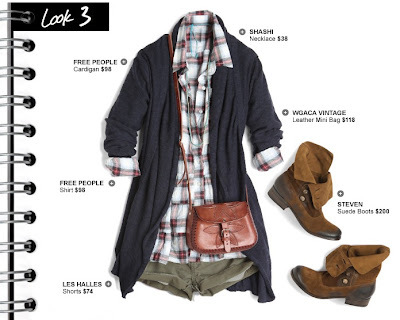 As you all know, I love looking at Shopbop's lookbooks for inspiration (their stylists are amazing at what they do!). When checking out their newest Summer Weekends in the City, this look caught my eye. Here are the actual items used in the outfit above, click on any photo to purchase or for more information. When I saw this look, I knew that I could recreate it with a more budget friendly pricetag. Here's what I came up with (click on any photo below to purchase - pricing info can be found below the photo)! Please note, I tried (as always) to find items that resembled the original as closely as possible as well as being cheaper than the original. I do realize you can find less expensive navy cardigans, etc but my goal is always to try and be budget conscious in addition to staying true to the original look. Agreed Christine! I'd much rather sport the boot that you chose vs the one that Shopbop styled with the outfit. I say they hire you! Just came across your blog a couple days ago and I'm hooked. I never would have thought of putting all these pieces together in an outfit, but I absolutely love the result. And your version is fantastic! I adore this outfit!! thank you so so much for posting this!! i love your blog! !